This blue cheese is made of pasteurized cow’s milk cheese and is very flavorful, it’s been aged for 2 months. Named for its place of origin in the Auvergne region of south-central France, this cheeses’ flavor is a balanced spicy and salty combination that is creamier and less pungent than other blue cheese. 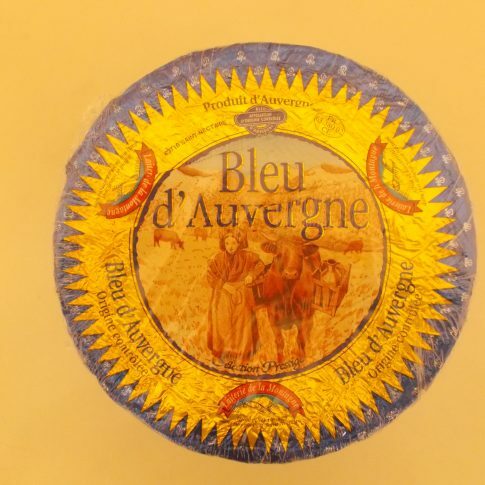 Bleu d’Auvergne is excellent in salad dressings or pasta sauces and as part of a cheeseboard. It is often recommended with a full-bodied red wine.